Earlier, the Hindu Mahasabha installed an idol of Godse inside their office in Gwalior, Madhya Pradesh on his 68th death anniversary on November 15. MUMBAI: Tushar Gandhi, Mahatma Gandhi’s Great Grand Son on Thursday said that people who follow ideology of violence are celebrating the death anniversary of Nathuram Vinayak Godse. Godse, a Hindu nationalist, assassinated Mahatma Gandhi by shooting him in the chest three times at point blank range in New Delhi on January 30, 1948. Godse was hanged till death on November 15, 1949. 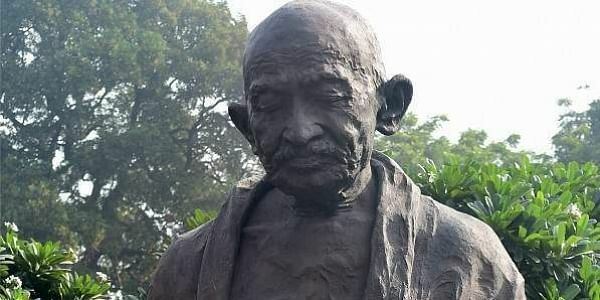 The Mahasabha had requested for land from the district administration for a temple dedicated to Mahatma Gandhi's assassin in the city, but their plea was not entertained.